I thought I’d share a few photos of my progress in repairing the main wing section of the Supra I bought. It had some damage when I bought it, but much less than my original Supra whose wing hit a roof at the end of a 300 foot vertical dive. The fuselage just missed the roof. The first picture shows the bottom of the wing with the pieces Wayne and I cut out of the bottom (part wasn’t cut, as was broken along spar and mid section when I got it.) The pink pieces are foam I cut with band saw and milled with a drill press to be the right shape to be glued in with carbon fiber cloth wrapped to contact spar/trailing edge and top/bottom skins. 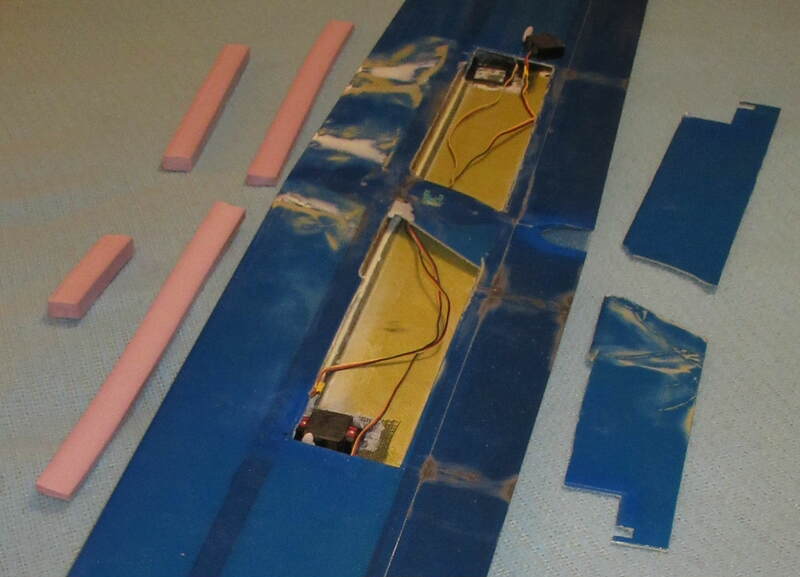 The second picture is a closeup of the foam where the stepped shape of one and the tapered shape of the other (to match the tapering trailing edge of the wing) are sort of visible. The third picture is a closeup of the servo mount I added. 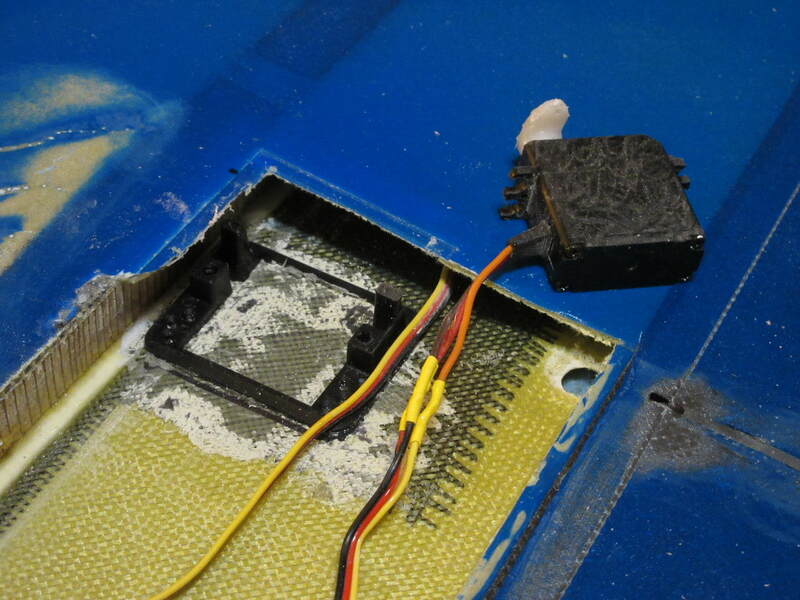 The picture shows the added reinforcement at the spar that necessitated making steps in the foam to conform to the shape inside the wing. 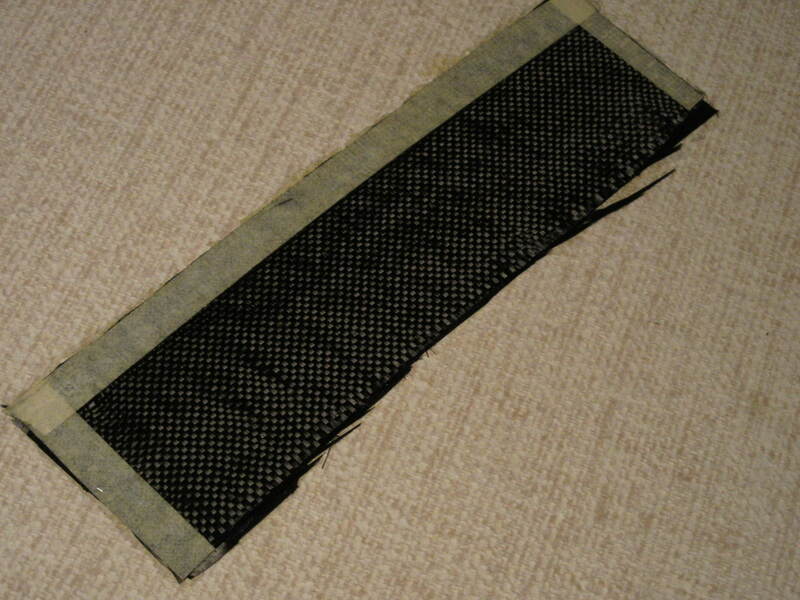 The fourth picture is the small sheet of composite I made out of 2 layers of carbon fiber (one layer at 45 degrees to the other). It’s to be cut up to create pieces where I need to bridge across the cut joint where I can’t place foam because of wiring or flap linkage going through. The object is to create a lip around the opening that the cutout piece will be supported on when it’s glued back in.